recommended for: Fans of The Diviners by Libba Bray, In the Shadow of Blackbirds by Cat Winters, and other turn-of-the-century fantastical mysteries. SIt’s Boston, 1919, and the Cast Iron club is packed. On stage, hemopaths—whose "afflicted" blood gives them the ability to create illusions through art—captivate their audience. Corinne and Ada have been best friends ever since infamous gangster Johnny Dervish recruited them into his circle. By night they perform for Johnny’s crowds, and by day they con Boston’s elite. 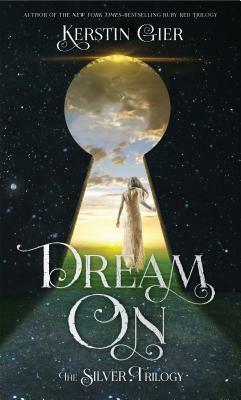 When a job goes wrong and Ada is imprisoned, they realize how precarious their position is. After she escapes, two of the Cast Iron’s hires are shot, and Johnny disappears. With the law closing in, Corinne and Ada are forced to hunt for answers, even as betrayal faces them at every turn. I can say without reservation that Iron Cast is everything I wanted, and more. It's a glitzy murder mystery set on the precipice of one of my favorite decades, 20s America, it's not set in New York (for once), and it features a cast diverse in ethnicity, culture, and sexual orientation. All that would be enough to pique my interest (see what I did there? ), but it's also all built up on sharp, poetic writing and two badass female narrators whose voices explode from the page. Meet Ada and Corinne. Ada is the child of Portuguese and African immigrants, Corinne the child of the wealthy Boston elite. Best friends, co-conspirators, and hemopaths: people whose blood gives them powers to manipulate minds. Ada can coax emotion from song, while Corinne can weave illusions from poetry. It's the perfect skill for artists--and conmen. It's a brilliant set-up, a system of magic quite different from the norm. Soria takes the concept of hemopathy to its limit as a metaphor for marginalization. Hemopaths are feared, reviled, legislated against. Outside of the dazzling underground performances that draw curious crowds, Ada and Corinne are always in danger, a danger felt keenly in every page. Everything begins rapidly, so I was a little thrown off at first, to the point that it almost seemed slow. I was waiting to get my bearings. Once I did, the only time I felt unsettled was when Soria wanted me to be. Dangers come at these girls from all sides. Ada is an asylum escapee. Their boss is missing. Their club is being attacked. Hemopaths are disappearing. I actually felt a profound sense of terror and tension while I was reading, at the point where Ada and Corinne must face everything on their own; Soria infused their emotions into the page with as much skill as a wordsmith. It's been a while since I clutched a book white-knuckled out of fear for my darlings inside. Our dynamic duo is a huge strength of the book. Their friendship is powerful and paramount. It suffers its cracks, but in the end, no mere trifle is getting between these girls. Family is the next hugely important layer. For Ada, the mother she supports with her cons, who depends on her but disapproves. For Corinne, the parents and brother she lies to and discounts, and the memory of a beloved grandfather. A huge part of the girls' journey is reconciling who they are with who their family wants them to be, and accepting that family ties aren't so easily cast off. Speaking of cast, the secondary characters are a powerful scaffold for our heroines. Each character, no matter how small, feels resplendent with life, with a backstory and a personal motive. The specter of Johnny Dervish is a powerful motivator throughout. There's the illusion-addicted bum in the alley. Saint, the magical painter, whose fear betrayed his friends. Madeline and James, silly and fabulous, who live for their theater. Charlie, who gets short shrift in the beginning but comes into his own as a calming, stoic lover. And Gabriel, my dear gun-man, grouchy and distrustful and multifaceted. They're all rich and fascinating, although I'd like to have known more about the mysterious asylum doctor whose motivations are so important. It's a fast moving book once you get into it, a twisty game of cat and mouse where the loyalties and secrets seem ever-shifting. I guessed a couple of the reveals, but I didn't feel cheated, and there were plenty of secrets I didn't quite guess. Soria runs her characters through the wringer, making it a tense read. But there's lightness, too, cheeky banter, fresh dialogue, and moments of beauty and friendship that balance out the noir and grit. There were points I can tut about. Saint's power, in particular, seemed more unbelievable than the others. I often felt that we were getting more Corinne than Ada and I wanted more balance. However, that didn't stop it from being a brilliant book. It's written in a rich, picturesque prose that brings all the grit and glamour of the era to a stark and dazzling life. It's poignant. It's brutal sometimes, sweet others. The ending is a little jarring (I mean, whoa) so I'm desperate for a sequel, but it's the kind of book that leaves you feeling expansive, emotional, and just a little bit magical. 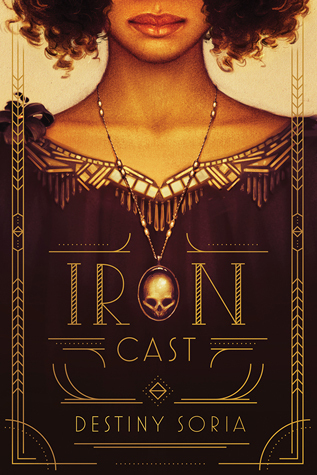 Iron Cast is a dazzling fantasy noir that blends friendship and mystery, magic and murder. will i read this author again? Yes! Her writing is glorious! will i continue the series? Please tell me there's a sequel? Note: I received this copy from the publisher in exchange for a review. The price of the book and its origin in no way affected my stated opinions. I recently got a hardcover of this book, and it's so pretty! I hope I get to read it soon, especially after reading this review. So glad you loved it! ^_^ I LOVE your "in a sentence" section! You really sold this book!